UPDATE 5/30/13: Starting July 2013, ETS will offer the PowerPrep II for the Mac. This is exciting news for Mac users. If you are Mac-user reading this, and you plan on taking the GRE before July, then the post below is still relevant, especially the “What am I going to do?” section. With the Mac fast becoming the laptop darling of most college bound students one would think that ETS had long ago made all of its free online offerings Mac compatible. The short response: It hasn’t. 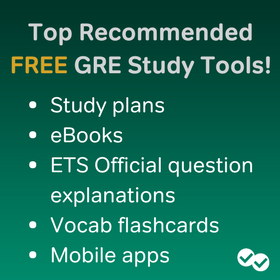 Curiously, Powerprep II, ETS’s free online GRE test, is not available for Macs. And despite Apple’s relentless ascendancy, ETS has no plans to make PowerPrep available for download on Macs. Why would ETS do this? I think the keyword here is ‘free.’ ETS has created a product – Powerprep I (for the old GRE) and PowerPrep II (for the new GRE)—and probably feels that it has nothing to gain from creating a Mac compatible test. Of course, it could make the test Mac compatible and charge users a nominal fee. Such a move would likely be very profitable. Nevertheless, ETS does not appear to be offering the test for the MAC – either paid or unpaid – for the foreseeable future. What about the CD that comes with the book? Will that work on my Mac? Surely, ETS would have made a Mac compatible CD. That can’t be too difficult? Again, Apple doesn’t really have much to gain financially, even though one could argue that if ETS made the CD Mac-accessible, then more people (read: Mac users) would buy the book. My cynical retort: Mac users assume that the CD will work on their computers. Simply put: the PowerPrep II test is not available—and at this rate probably never will be available—for the Mac. What am I going to do?!? The answer to this question used to be very reasonable. I would tell students: “Borrow a friend’s or family member’s.” However, I have had two students who literally knew nobody who owned a non-Apple computer. In the end, both students had to take an on-line GRE test in the library (despite being kicked off multiple times by officious assistants). But if you have access to a PC, then cajole your friend or family member into lending you their PCs for a bit. Insist if you have to—taking an actual practice Revised GRE test on a computer is that critical, Mac or no Mac. 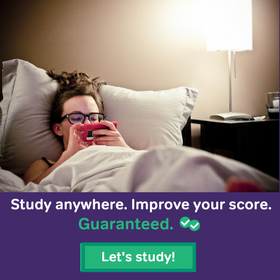 Another option is to use an online GRE Prep offering such as Magoosh. You can access it through a web-browser and it’s compatible with PCs and Macs. You’ll get an interface similar to that found on the Revised GRE, including an on-screen calculator. 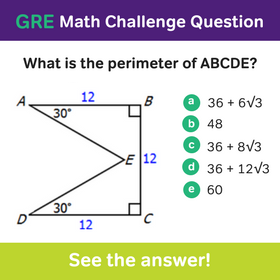 And you’ll get video lessons and practice questions on every topic covered on the GRE. You may also want to try the ETS Paper-based test PDF, which is available for free online, though it won’t give you the computer-based experience that you’ll face on test day. If you do choose to use the Paper-based test, check out the video explanations we’ve recorded for all of those questions. Let us know about your experience (or lack thereof) with Powerprep on Macs, and any solutions you’ve found! 26 Responses to Powerprep for Mac? So I’m having some issues with the new “Mac compatible” Powerprep software. Namely: it seems to require Internet Explorer, which you cannot download onto a Mac. Does anyone have a workaround for this? You know I tried looking for it on the gre website and I couldn’t find. I’m almost positive though that the 2.1 isn’t going to have anything new content wise. The (.1) usually means they fixed some bugs. If I hear anything to the contrary, I’ll let you know :). Powerprep 2.1 for Windows AND Mac now available! If you download and install the Apple JRE from here. PowerPrep will work on Yosemite. You can even install the Apple Jave JRE next to the most recent updated Java 8.45 so other applications that require the most updated version still operate. Chris — this is great news, but do you have any additional clarity on when in July it is expected? Have they made an official announcement. My test is scheduled for later July, but if it won’t be released until late in the month, I may try to find an alternative computer. Thanks. I tried snooping around the gre.org site but I couldn’t find an exact date. Perhaps you could shoot them out an email. I’m not sure how effective this is, but it’s worth a shot. Sorry I could’t be more helpful :). I was literally planning to install windows on my beloved MAC! this update surely saves the effort. I know! I’m so happy–and relieved that I don’t have to use the office PC every time I want to do PowerPrep related stuff. (I love my MAC :)). Do you know a tentative date when this will launch ? I have delayed my OG purchase cause of this. I don’t have an exact date in July — simply July. Even then you should get the OG. There is so much content besides the PowerPrep related stuff. Does anyone know if the powerprep software works for Windows 8? I’m going to try to run it in a virtual machine on my mac, but I do not want to buy Windows 7 since it is getting old at this point. Yes, it does– I just downloaded it on my Windows 8 ThinkPad and it works fine :). I still don’t understand why the PowerPrep is not compatible for Mac’s. It seem to defy the whole “supply and demand.” There is a huge demand, but no supply? I would be willing to pay $10-$30 just to be able to have it on my Mac. Just install bootcamp and install normally. 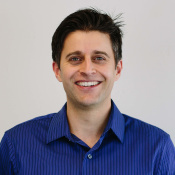 Hi Josh, this is Magoosh’s developer, Zach. Dual-booting (with Bootcamp) or using a virtual machine and installing PowerPrep from there is an effective solution. I run PowerPrep inside a VM (Parallels Desktop) all the time to figure out proper calculator and test behavior. Unfortunately though, they require a valid Windows installation disc or .iso image which is quite expensive and the setup process is technically tricky, so we don’t recommend it for most students. Many schools have programs where students can get free or discounted copies of Windows, so if you’re still hell bent on running PowerPrep on a Mac and don’t mind spending time fiddling with a computer (instead of studying), there’s definitely still hope. True, Bootcamp and Parallels Desktop are fine solutions yet tricky and expensive. I’m a Mac user and I’ve been able to install and use Powerprep quite easily using a free open-source tool called Wineskin Winery. I suggest Magoosh Mac Users give it a try since it’s really straightforward. Just go on youtube and look up “wineskin tutorial” to learn how to use it. Installing Powerprep shouldn’t take more than 15 minutes. I hope this helps, it really did save my life. I’ve tried to set up PowerPrep II with Wineskin, but after two hours I haven’t had any luck. If you could link to the tutorial you used, it would be a great help. Thanks! Chris, I am also a Mac user trying to use Powerprep II and I came across your comment. Unfortunately I am having difficulty getting Wineskin to work. I have been following the Youtube tutorial and the installation works great but then I can’t get the app to run. I would love to talk to you to get some advice on how to fix this problem. My email is joey.frostad.jjf@gmail.com I would appreciate it very much if you got into contact with me. I got both your private emails and I don’t mind getting in touch to help you as much as I can. However, I’m posting my answer here so everyone benefits from the advice. Second, I think the problem lies in the final stage of installation. Here’s the trick : after you’ve successfully created the wrapper and installed Powerprep II (plus all the extras it needs to install like Gecko etc …) you should quit and relaunch the wrapper then click on the “Advanced” tab. At this point, choose the launch.bat file and NOT a .exe file (it won’t work). Also tick the small box just below. Quit again and relaunch to start Powerprep. This is it, that’s all that is to it. I should mention though, I’ve downloaded Powerprep II from ETS’ website. So if you’re installing from the CD, maybe the .exe file will do the trick. In any event, I know it’ll work in this case too because this is how I installed Powerprep I the first time. One thing of note in regards to your proposed solution is that the launch.bat file did NOT work for me. I had to use the one that was called l.bat. Not sure if this is universal or not but I think its worth letting you know. Thanks so much for this fix! Worked for me!